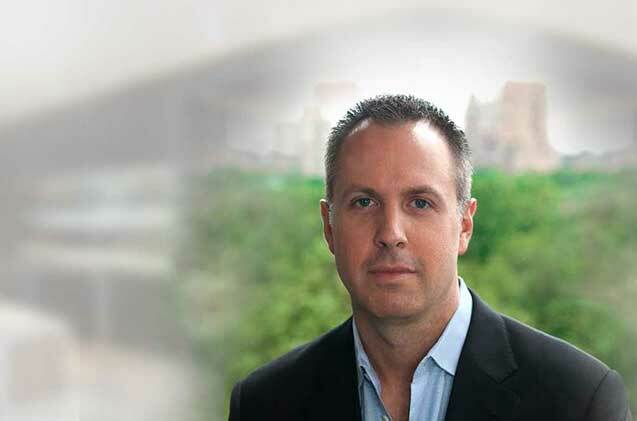 Dr. Robert J. Morin is a board-certified, distinguished plastic and reconstructive surgeon in New York City. In addition to general plastic surgery, Dr. Morin specializes in cosmetic surgery of the head and face. Dr. Morin received extensive training in craniofacial surgery, facial cosmetic surgery and pediatric plastic surgery. This additional training allows him to successfully perform a wide range of complex reconstructive and cosmetic surgical procedures on both adults and children. Dr. Morin has a specific interest in nasal reconstruction, ear reconstruction, and cosmetic and cleft rhinoplasty. 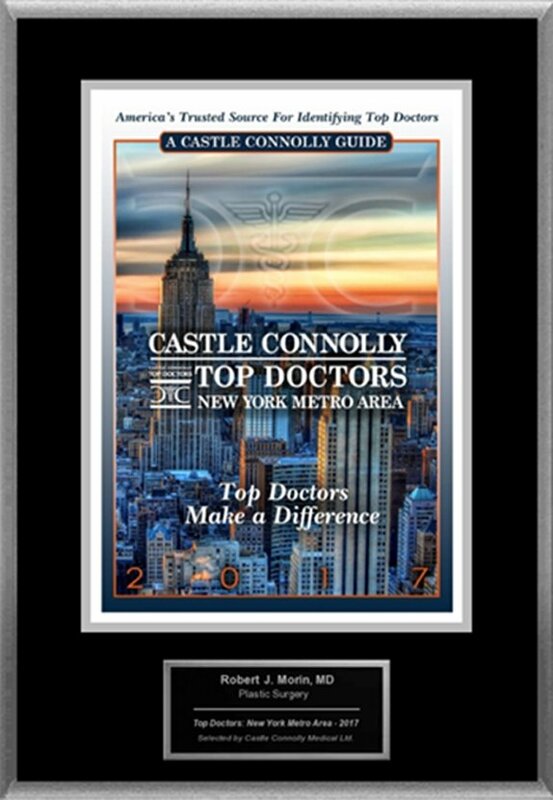 Dr. Morin was voted by his peers as one of the best plastic surgeons in the NYC metro area and is included in Castle Connolly’s “Top Doctors” book. Dr. Morin attended New York Medical College where he was a member of the Alpha Omega Alpha Honor Medical Society and served as Vice President of the college chapter of the American Medical Association. After receiving his medical degree, Dr. Morin completed a combined general and plastic surgery residency at the University of Medicine and Dentistry of New Jersey, during which time he served as Plastic Surgery Chief Resident. Continuing his postgraduate training, Dr. Morin pursued his special interest as a Craniofacial and Pediatric Plastic Surgery Fellow at Nicklaus Children’s Hospital in Miami, Florida, where he trained with one of the world’s most respected craniofacial surgeons, Dr. S. Anthony Wolfe. 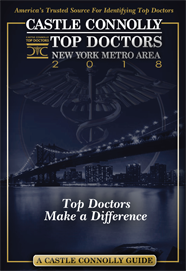 With vast academic and clinical backgrounds in cosmetic and reconstructive surgery, NYC plastic surgeon Dr. Morin offers patients unique expertise and thorough understanding of the nose, face, and eyes. Dr. Morin believes that all “reconstructive” procedures are judged on their “aesthetic” result. Therefore, his goal is always to produce the best cosmetic result possible, regardless of whether he’s repairing a cleft lip or performing a breast augmentation. Dr. Morin practices plastic surgery in his two offices in Park Avenue, New York City and in Bergen County, New Jersey. 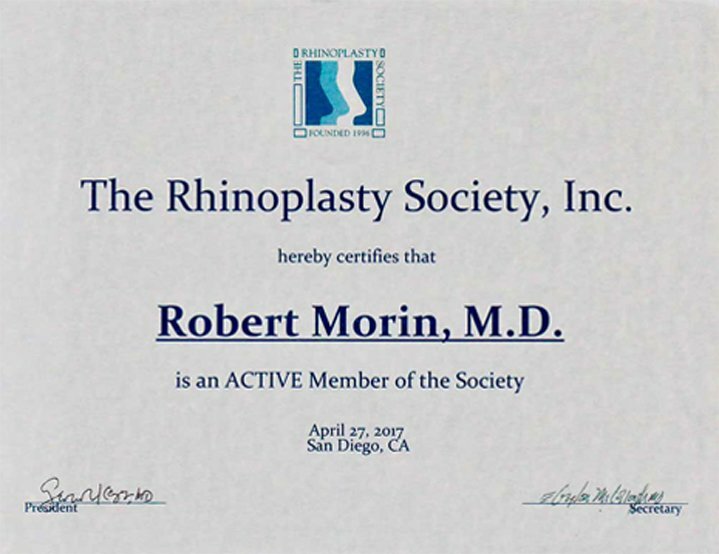 As the American Board of Medical Specialties logo states, “Certification Matters.” Dr. Robert Morin is certified by the American Board of Plastic Surgery, the only board that ensures plastic surgeons have met all strict requirements necessary to call themselves board-certified plastic surgeons in the United States. Dr. Morin believes it’s extremely important to make sure that your surgeon is certified by the appropriate board for their specific field. It’s therefore wise to not only ask if your surgeon is board-certified but also to ask by what board. The requirements Dr. Morin had to fulfill in order to become board-certified included a medical degree, extensive general surgery training, rigorous plastic surgery training and the successful completion of all medical licensing exams. In addition, Dr. Morin completed a 9-hour computer examination, successfully performed a required number of peer-reviewed surgical cases and finally, passed an oral board examination. Dr. Morin also completed an accredited fellowship in craniofacial and pediatric plastic surgery. This additional training was not required for board-certification, however, it significantly increased Dr. Morin’s knowledge base and surgical experience. Membership in field-specific societies is important as well. In plastic surgery, the American Society of Plastic Surgeons is the largest and most influential society. Hoppe IC, Morin RJ. Dog Bite to the Lower Lip. ePlasty Interesting Case Series. Plastic Surgery Department Grand Rounds. New York, New York 2/2019. Medical Center Department of Pediatrics Grand Rounds. Morristown, New Jersey 1/2019. Plastic Surgery Department Resident Education Series. Hackensack, NJ 11/2017. Surgery Department Grand Rounds. Newark, New Jersey 6/2017. Autogenous Ear Reconstruction: Ten Days in Colombia with Dr. Francoise Firmin. Invited Guest Lecturer Medical City Children’s Hospital Plastic Surgery Grand Rounds. Symposium. 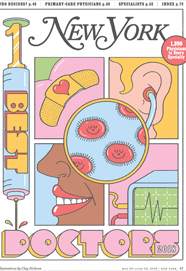 Manhattan Eye, Ear and Throat Hospital. New York, New York 11/2010. University Medical Center Pediatric Grand Rounds. Hackensack, New Jersey 9/2010. Model. Miami Children’s Hospital Craniofacial Grand Rounds. Miami, Florida 6/2010. Haiti. Miami Children’s Hospital Craniofacial Grand Rounds. Miami. Florida 4/2010. Nasal Osteotomy Performed with a Dual Plane Reciprocating Saw: Long-term Follow-up. Reconstruction of the Cleft Nasal Deformity. Rizal Provincial Hospital Grand Rounds,Rizal, Philippines 2/2010. Surgery at the Red Sea International Symposium. Eilat, Israel 3/2009.